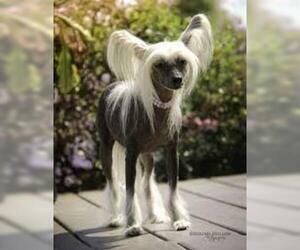 Overview: The Chinese Crested is found in both hairless and powder-puff varieties. 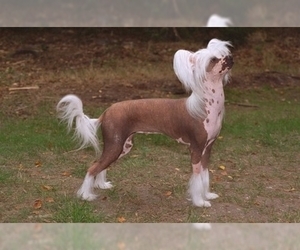 The hairless has only a tuft of hair on the head and feet, but otherwise hair-free. 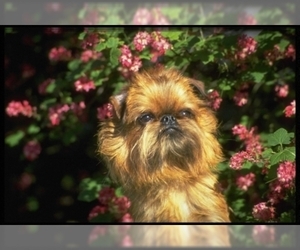 This makes him have special skin care needs, but the breed is a joy to have around. Coat: There are two varieties. One only has hair on its head, ears, tip of its tail, and feet. 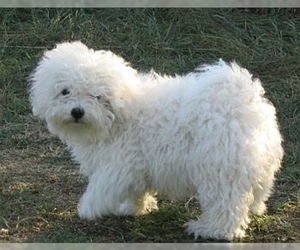 The other, known as the Powder Puff, has an undercoat and a silky topcoat. 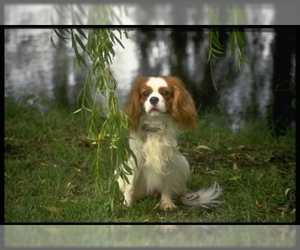 Character: Chinese Cresteds are often cautious of people they do not know, yet playful and affectionate with their owners. 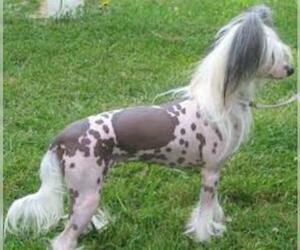 Care: The Chinese Crested requires special care, depending on the variety. The hairless variety needs special lotion and exfoliating creams whereas the Powderpuff variety needs brushing every day or two. 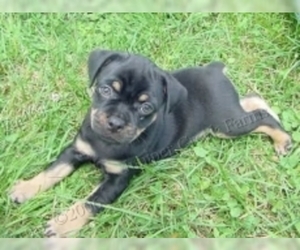 Training: This breed is very intelligent, making it train easily. 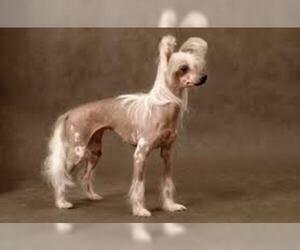 Activity: The Chinese Crested can get by with three walks a day and can usually adapt to your family's activity level. 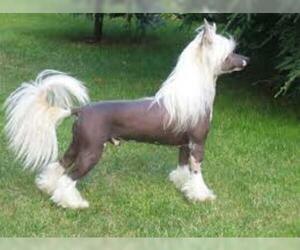 Health Issue: This breed can have skin problems and irritations, due to their being hairless. They may also be prone to gaining weight. Displaying 6-10 of 12 result(s).